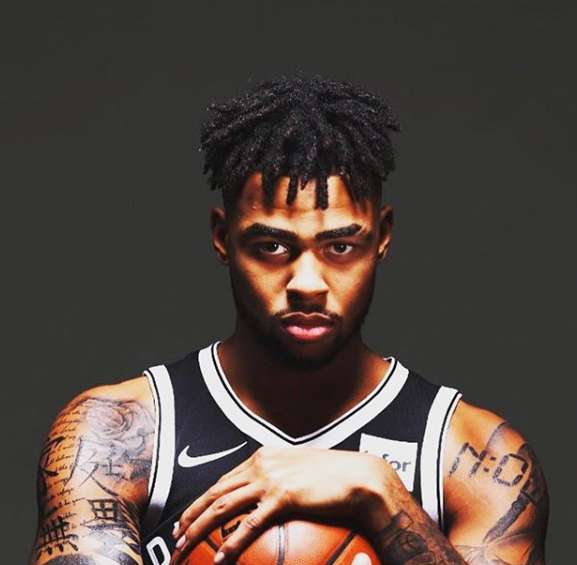 D'Angelo Russell is an American professional Basketball Player player who plays in the National Basketball Association (NBA). Russell currently plays for the Brooklyn Nets who acquired him in 2017 as their Point Guard. Being one of the most promising young players in the NBA. Having turned out for the NBA giants Los Angeles Lakers for two years from 2015 to 2017. 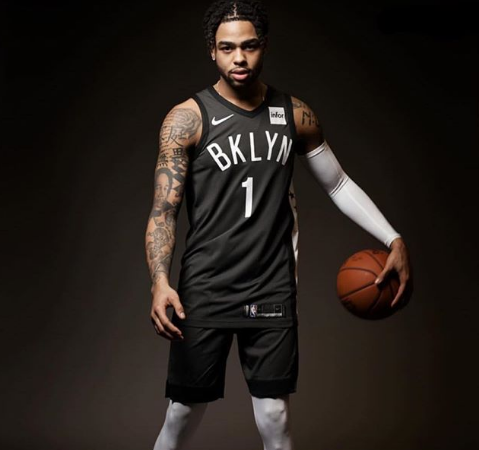 Brooklyn Nets point guard D’Angelo Russell is being linked with a trade away from the team before the February trade deadline. D’Angelo Russell played one season of college basketball for Ohio State University before being drafted by the Los Angeles Lakers with the second overall pick of the 2015 NBA draft. Russell was a regular in the starting lineup during his two seasons in Los Angeles, although in 2017, he was surprisingly traded to the Brooklyn Nets in exchange for Brook Lopez and the rights to Kyle Kuzma. After an injury-hit first season in Brooklyn, Russell has been the team’s best player during the 18/19 campaign, averaging 17.5 points, 6.2 assists, and 3.7 rebounds per game. He has also been instrumental in the Nets’ recent run, as the team has picked up 7 wins in 10 games to put themselves back into playoff contention. 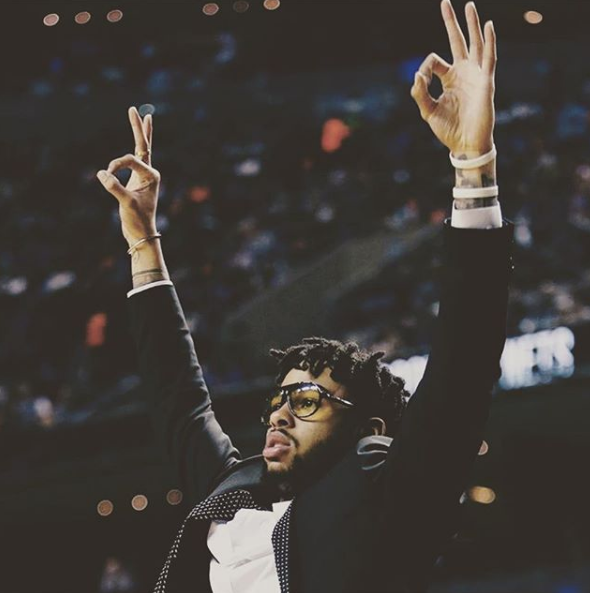 D'Angelo Russell was born in Louisville, Kentucky to parents Antonio Russell and Keisha Rowe. His birth name is D'Angelo Danté Russell. He is American by nationality and belongs to the black ethnic group. He has four siblings; Antonio Russell (Older Brother), Lashaun Russell (Older Brother), Tayshaun Russell (Brother), and Cloee Russell (Sister). Russell attended Montverde Academy in Montverde, Florida where he played for his high school basketball team. 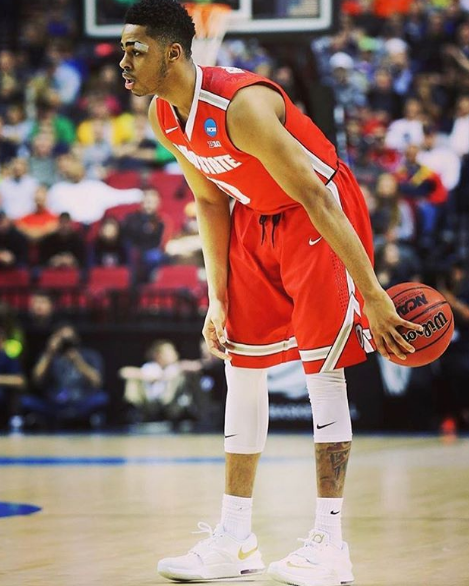 Russell enrolled at Ohio State University and played for the Ohio State basketball team in his collegiate career. He became the recipient of the Oscar Robertson Trophy, Wayman Tisdale Award, and Jerry West Award in 2015. In the 2015 NBA draft, D'Angelo Russell was drafted by the Lost Angeles Lakers with their second overall pick. Russell had an impressive rookie season becoming the youngest player to hit 130 three-points in a season and leading all rookies in steals per game with an average of 1.2 steals per game. He was named to the NBA All-Rookie Second Team honors as well. The following season, Russells appeared in 63 games and started in 60 of those games. He ended the season with an average of 15.6 points, 3.5 rebounds, 4.8 assists and 1.4 steals improving on his last season stats of 13.2 points, 3.4 rebounds, 3.3 assists and 1.2 steals per game. The Lakers traded D'Angelo Russell to the Brooklyn Nets in exchange for Brook Lopez, the rights to Kyle Kuzma and the 27th pick in the 2017 NBA draft.on his first season with the Nets, he recorded 15.5 points, 3.9 rebounds and 5.2 assists playing in 48 games. D'Angelo Russell is currently rumored to be in a relationship with Gabby Engersgaard. The two have been spotted together on various occasions, one such occasion includes a Yankees game. Russell has yet to acknowledge the rumors. Russell is famous for dating beautiful women and in the past was also dating Janay Bankston who used to be an ex-volleyball player at Cal State Stanislaus. Before dating Bankston, his girlfriend used to be another college volleyball player named Nicki Withers. The point guard of Brooklyn Nets, D'Angelo Russel currently has an estimated net worth of over $12 million. Russell signed a 4 year, $23,017,978 contract with the Los Angeles Lakers in 2016 and so far has made earnings of $16 million from his NBA career. He is still getting paid under the contract which puts his salary to be $7,019,698 for the 2018-19 season. Observing his body figure, he stands a height of 6 feet 5 inches and weighs 88 kg. Similarly, He has black hair and dark brown eyes color. Furthermore, his body measures 43-15-33 inches including chest, biceps, and waist sizes. During his one-year stint with Ohio State Buckeyes, he served up an impressive performance, which helped him win the Oscar Robertson Trophy, Wayman Tisdale Award, and Jerry West Award. At the end of his one-year long college career, he was included in the Consensus All-American First-Team and was declared Big Ten Freshman of the Year. The Los Angeles Lakers picked him as the second overall pick in the NBA draft held in June 2015. In June 2017, he signed up with the Brooklyn Nets after his previous franchise agreed to include him in an elaborate exchange.